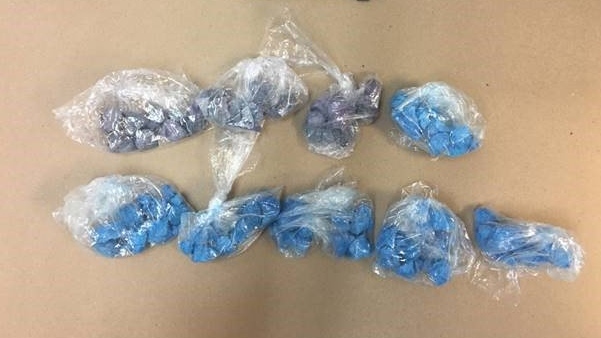 Blue and purple fentanyl is seen in this image released by the Guelph Police Service. 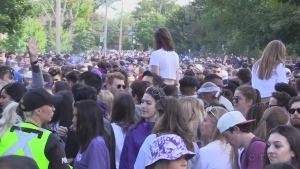 The Grey-Bruce Health Unit is warning the public of an increase in drug overdoses, with some related to purple fentanyl. There have been five overdoses over the last two days, and another three in the past three weeks. Purple fentanyl is a highly dangerous cocktail of heroin and the synthetic drug fentanyl. The health unit urges people to always exercise caution when using street drugs, using a small amount at first and to always have naloxone on hand.